Digital marketers are only as good as the accounts they manage to keep track of. People in this type of work are often expected to manage multiple clients and accounts. Basically, that means ordering your mind as well as your accounts, passwords, and posts. The job description for a social media manager will never include the word easy; wholly due to a stream of consciousness permanently flipped on (i.e. the internet). Social media is a running tide of id burbling beneath the surface, and those in charge of managing that flow must translate the craziness into understandable, brand-friendly posts with good reach. Add to that the ever-important aspect of time sensitivity. If not covered almost immediately, news quickly becomes irrelevant. Comments and messages require quick responses in order to reflect well on the business. Live conversation, while not something the average millennial would choose to partake in, is imperative to a digital marketer's job. All in all, it's quite a lot to keep on top of. Facebook is making social media management a tad easier with their new feature, universal inbox. 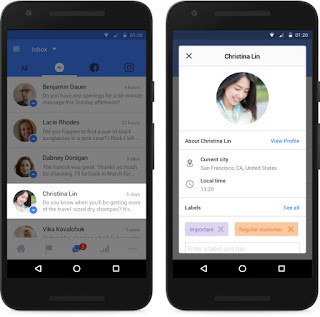 It links communications across Facebook, Instagram, and Facebook Messenger straight from the Facebook Pages app. Universal inbox allows users to view compiled comments, reviews, and direct messages across digital channels. All authored consumer information is now viewable in one place, cutting down on the hassle of accessing multiple accounts. Adding to that, page managers are able to select a person's profile from the app, gaining immediate access to public information. Selecting a person will also show any previous interactions with your business. This feature has the potential to set up better consumer interactions. Announced 15 November, the social media giant stated that businesses could link accounts in order to see how customers interact across platforms. The entire driving force behind this feature is to make it easier for small businesses to foster good, online customer relations. Acting as a hub for communications, businesses can respond to comments, reviews, or feedback left on any platform straight from the universal inbox. There's no need to log into a different account. However, if you would like to respond to a consumer from a specific app (e.g. Instagram), that is still possible. Benji Shomair, global head of pages at Facebook, says "It's a relatively simple story where we are trying to save businesses time." 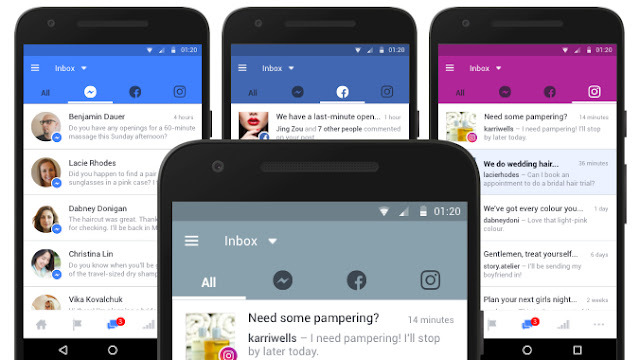 The global rollout of the inbox service is slotted for "the coming weeks" according to Facebook.To access, download Facebook's Pages Manager mobile app. Once downloaded, the next step is to link Facebook and Instagram within the app.